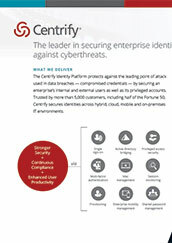 The Centrify Identity Services Platform provides next generation enterprise security to protect against the leading point of cyber attacks and data breach — compromised credentials. 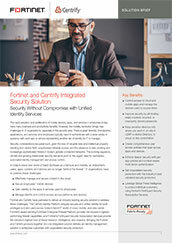 Centrify leverages identity to secure and manage users’ access to applications from any device, regardless of location. By leveraging a single identity across cloud, mobile, and onsite apps, users get a single username and password across all the apps they use for work, and IT can enforce consistent access policies based on user identity. 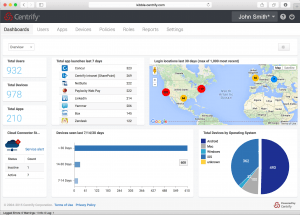 Did you know that Centrify’s identify management capabilities are Fabric-Ready and perfectly complements the Fortinet Security Fabric to provide end-to-end security services across the entire network. Leveraging Global Threat Intelligence to protect individual customers by using FortiGuard, the unified solution enables visibility and control for next-generation protection against advanced threats, including zero-day attacks. 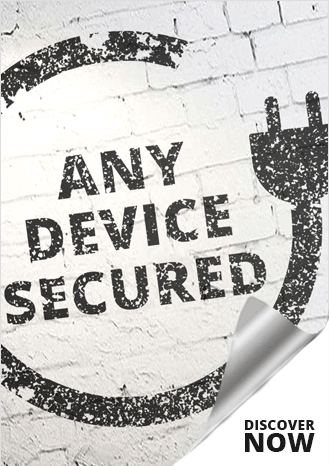 Control access to cloud and mobile apps and manage the devices used to access them. Enforce deeper security with per-app policies and context aware multi-factor authentication. Improve security by eliminating easily cracked, recycled, or improperly stored passwords. Get unparalleled security protection with the industry’s best validated security protection. Keep sensitive directory info where you want it: on-site in LDAP or Active Directory, in cloud, or any combination. Manage and control application provisioning and entitlements. Create comprehensive user access policies that span across apps and devices. Leverage Global Threat Intelligence to protect individual customers, by using Fortinet’s FortiGuard Security Subscription Services to enable visibility and control for next generation protection against advanced threats, including zero-day attacks. 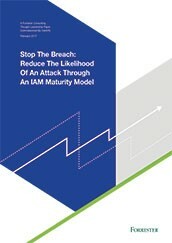 Interested in eliminating the threat of compromised credentials? Just let us know how we can contact you and one of our Trusted Advisors will be in touch. 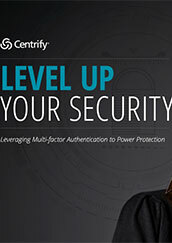 See how Centrify's Identity Service provides single sign on, multi- factor authentication, and cloud app and mobile security policy.